Sheffield isn’t lacking when it comes to second hand record shops. The locals of this northern city have had a love of their record players, that has been going on long since the vinyl renaissance the last couple if years has seen. Probably the most accessible of these stores is LP Record Store which nestles in between the university buildings and several student apartment blocks. It’s a quirky little shop that from the outside doesn’t look like it’s going to hold as much vinyl as this little Aladdin’s cave actually does. I paid them a visit and came across these little gems. 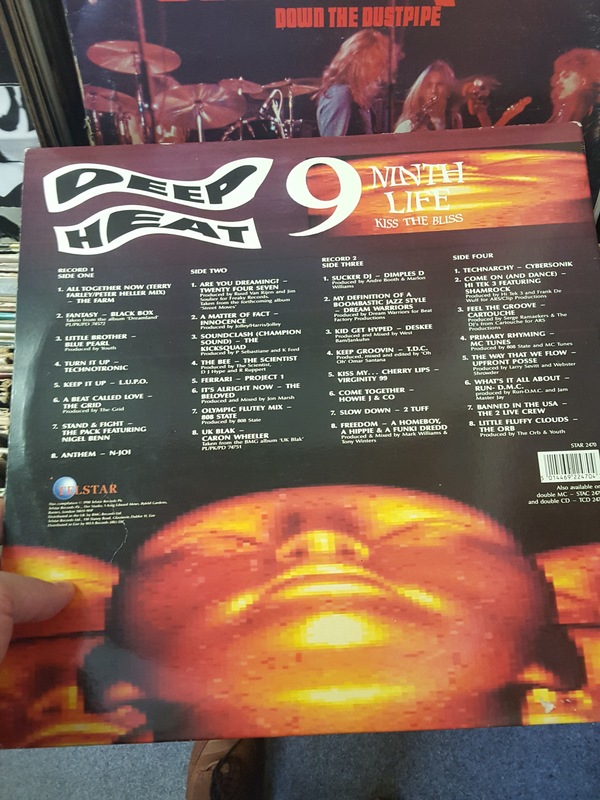 As a kid I was a huge fan of the Deep Heat collections. I was just starting to get in to dance music, and whilst I loved the big club anthems that were filling up the top forty, I was too young to actually go to the clubs and discover the big new tracks first hand. 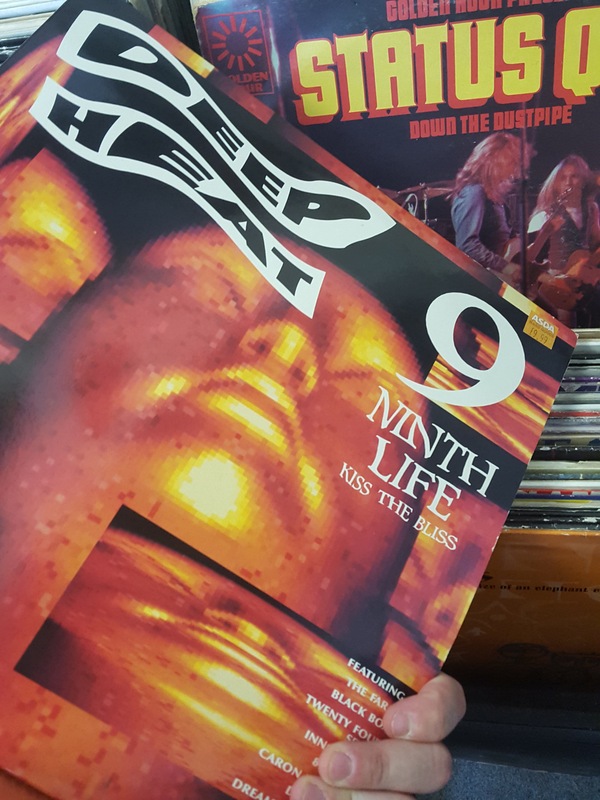 The Deep Heat compilations made club music more accessible, and without them I’d have no doubt missed out on so many great tunes. They featured of course a lot of the big chart hits too, but they were mixed in with so many undiscovered gems. Whilst Ministry of Sound started an unstoppable trend for dance compilations, this is the series I remember kicking it all off. There are a few tracks on this compilation to pay particular attention to, as they may have passed you by the first time round. The Grid scored a huge hit in the nineties with their banjo twanging electro track ‘Swamp Thing.’ The track featured on this album is ‘A Beat Called Love,’ which had a more chilled-out summery vibe. It’s on Spotify so go check it out. Blue Pearl and Black Box also have tracks beyond the one big hit they are known for on here. ‘A Matter Of Fact’ by Innocence is a beautiful soulful dance cross over, and The Orb’s Little Fluffy Clouds is a hypnotic classic to finish off with. There are so many classics in this compilation; some you will know, others you may not. Then there are other songs you’ll have forgotten you knew, and they’re always the biggest pleasure to rediscover. Glam rock and Christmas go hand in hand. It seems to have been taken ‘seriously’ on the scene, a big festive anthem was the essential thing to release. Mud, Slade and Wizzard have all made nice little pension pots for themselves by putting out big Christmas hits which would jump back into the charts year after year. I’m a big fan of Marc Bolan and T-Rex, so I’m not sure how this has passed me by for so many years. 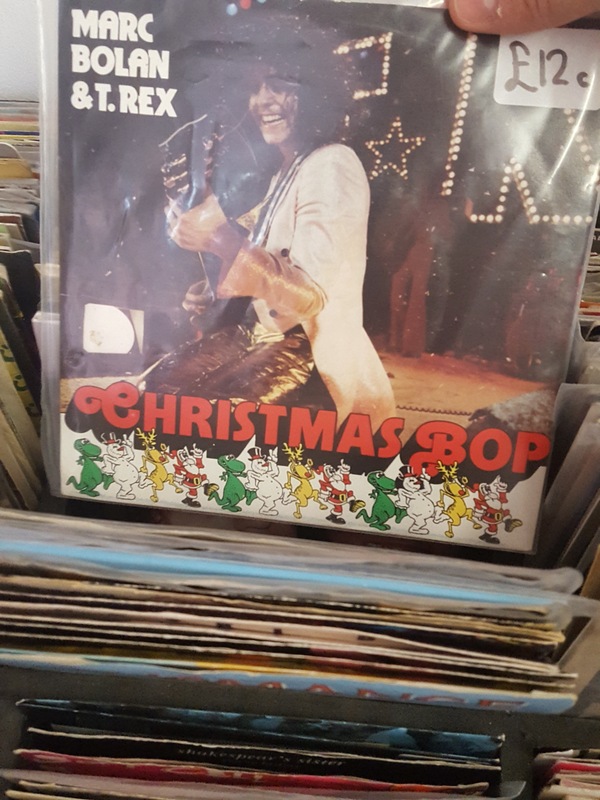 It wasn’t one of the big festive glam hits from seventies, which seems strange as when you stand it up next to them has the same cheesy festive credentials and every bit as good. A hidden Christmas gem for everyone fed up of Slade’s Merry Xmas Everybody. Finding songs like this is the reason I love delving through the shelves of second hand record shops. This one was in the seven inch section. In the past I have been known to become obsessed with certain songs. 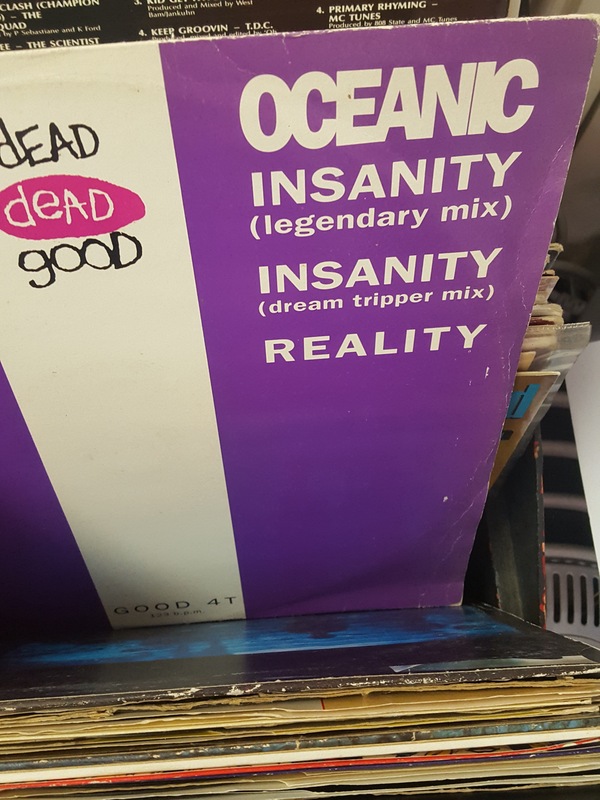 That was definitely the case when Oceanic released this huge rave anthem back in 1991. It was the time that dance music was coming into its own and crossing over from the clubs, into the charts. I loved playing those big dance anthems at top blast, no doubt much to the annoyance of my parents and neighbours. I had this one on cassette single, and used to let the tape flip over and over, playing the track again and again. It still sounds as good today and looks great in the 12″ format that all dance tunes should come in. 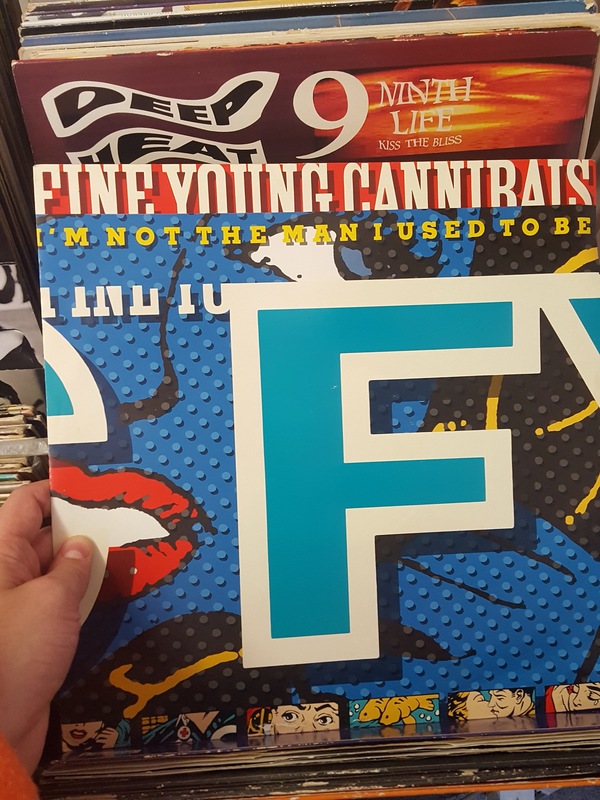 When thinking about Roland Gift’s band The Fine Young Cannibals, a handful of songs come to mind. Everyone knows ‘Good Thing’ and ‘She Drives Me Crazy.’ Then of course there was their cover Elvis Presley’s ‘Suspicious Minds.’ ‘I’m Mot The Man I Used To Be’ was from their 1988 album ‘The Raw And The Cooked’ and was always my favourite track. There’s a rawness and sensitivity in Gift’s vocal that you may not expect if you only know the band from their big pop hits. Tracy Thorn and Ben Watt had something of an image change in the nineties. It all came around the time Tracy teamed up with Bristol trip-hop collection Massive Attack and their song ‘Missing’ got the Todd Terry treatment. 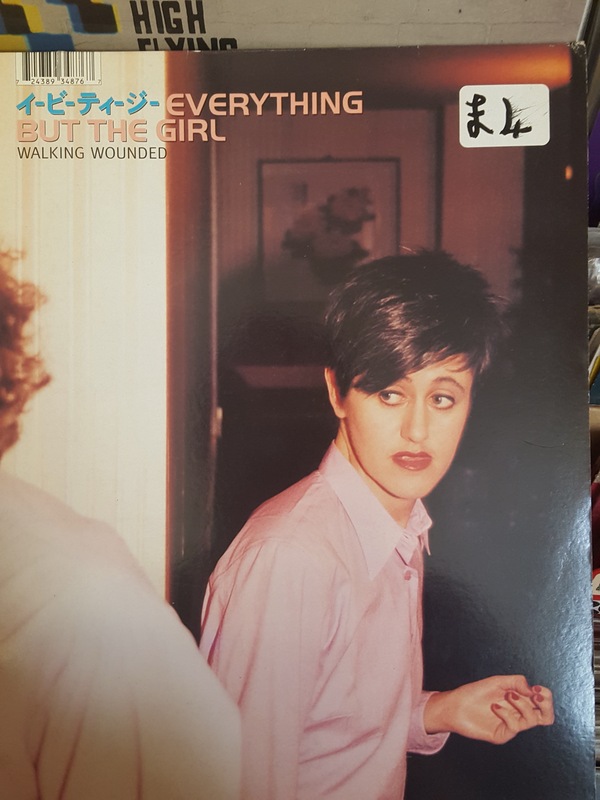 ‘Walking Wounded’ was the first single from the album of the same name and took them further into the world of electronic music with hypnotic drum n bass drum loops. 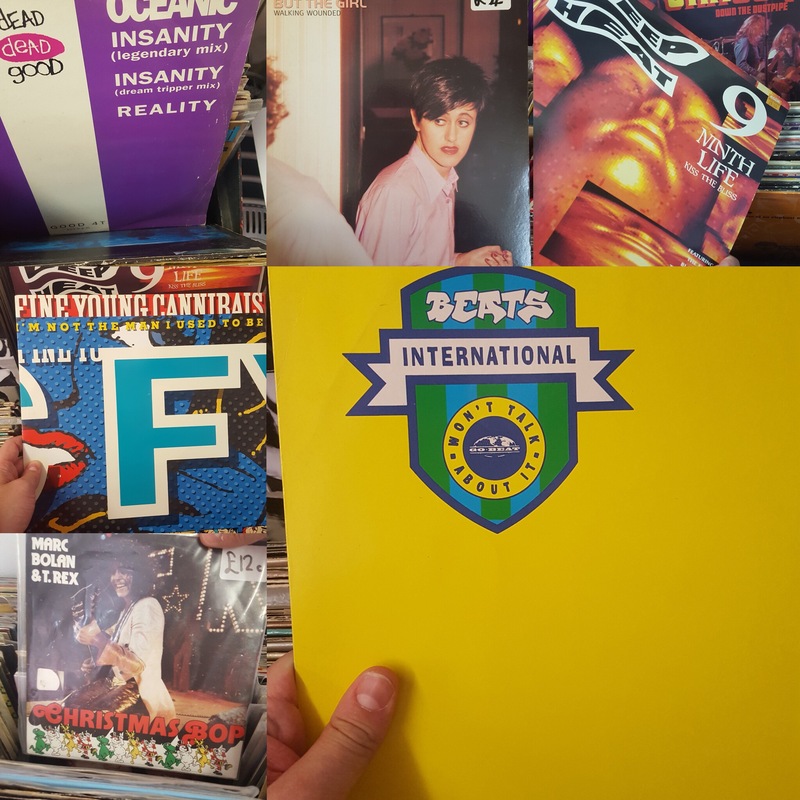 Fresh out of The Housemartins, before we knew him as Fatboy Slim, Norman Cook put together electronic music collect Beats International. Their sound was a mix of dance, hip hop and reggae. Of course we all know them for their number one hit ‘Dub be good to me,’ but there were so many strings to them. They had two amazing albums out, but sadly this was their only other top forty hit following their chart topper. 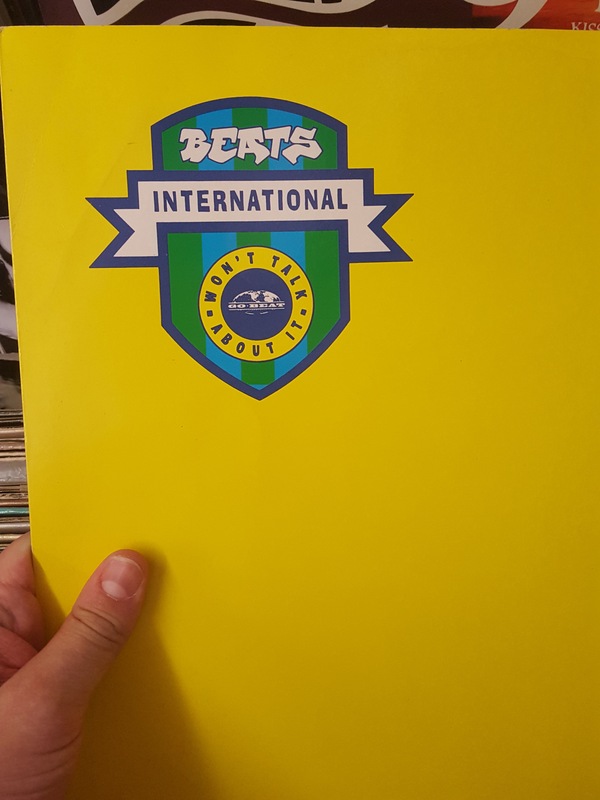 I’m going to be controversial now and say that I think Beats International was the best thing Norman Cook ever did. Of course I’m not taking away from the fact that ‘Gangster Tripping’ and ‘Right Here, Right Now’ are TUNES.